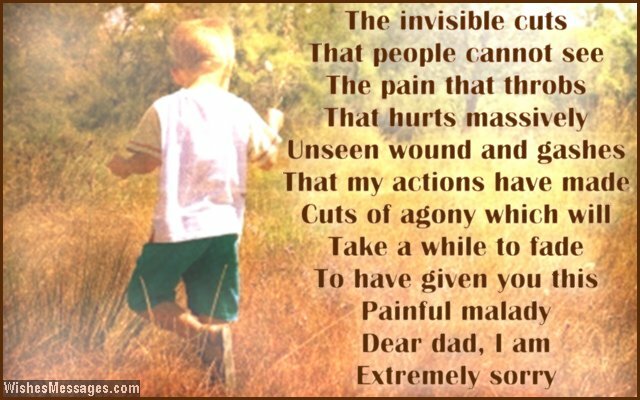 I am sorry poems for dad: There comes a time in every child’s life when there is an overpowering feeling of regret. This remorse can be for the way they behaved with their parents, for their immature behavior as teenagers or for any other mistakes they made along the way. 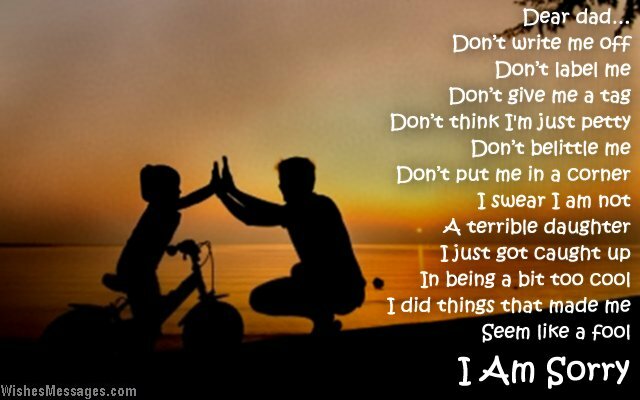 This realization is the moment when a son or a daughter yearns for dad’s forgiveness. If you can relate to this, say sorry to your dad with a cute apology note that melts his heart. 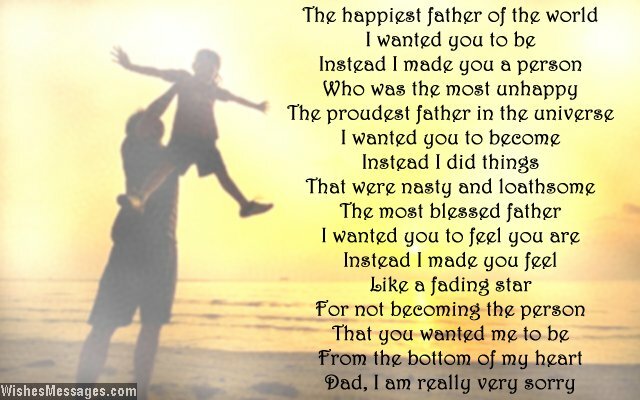 Write a sweet rhyme on a card and give your father a long hug as you apologize for not being the child that he deserves. Don’t procrastinate because there is nothing more a father could actually want than his children to appreciate all the sacrifices he’s made along the way.